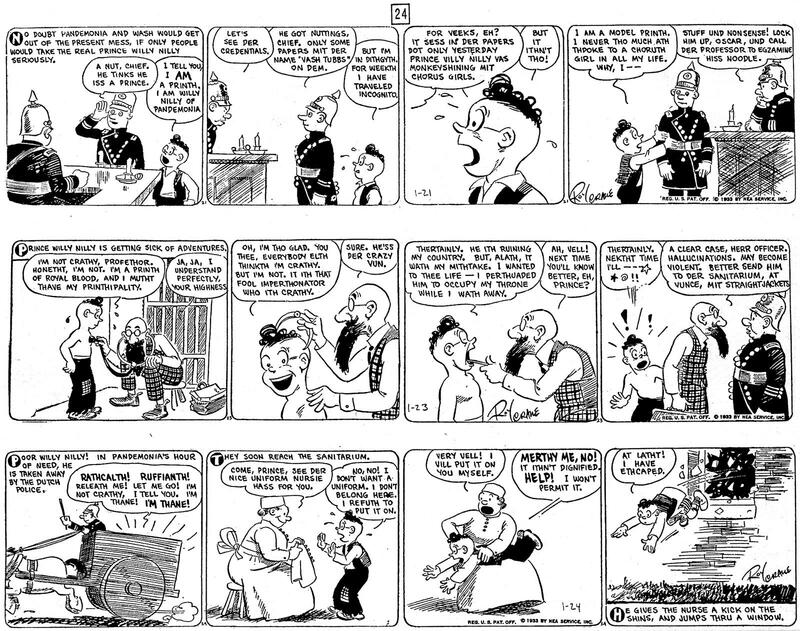 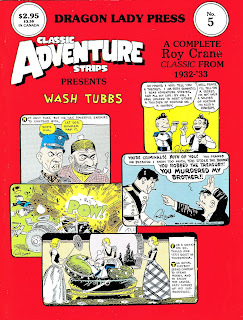 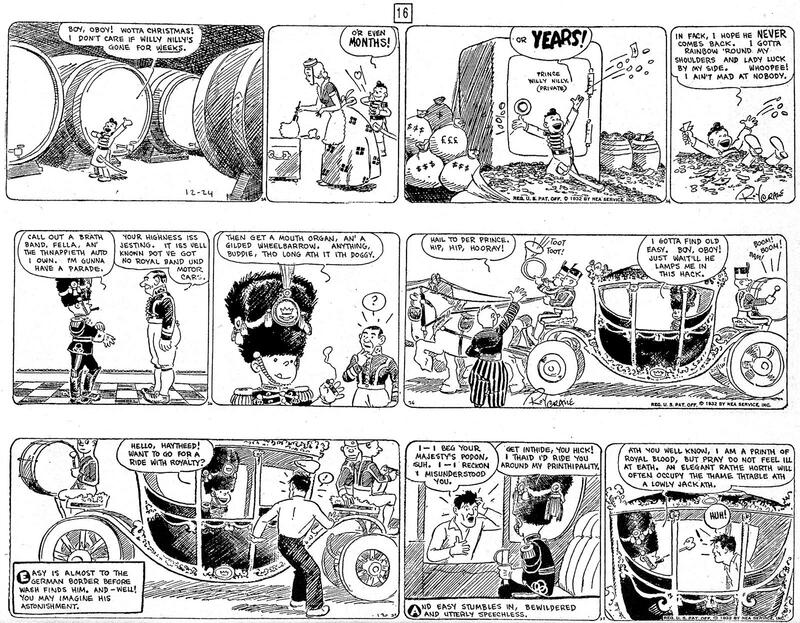 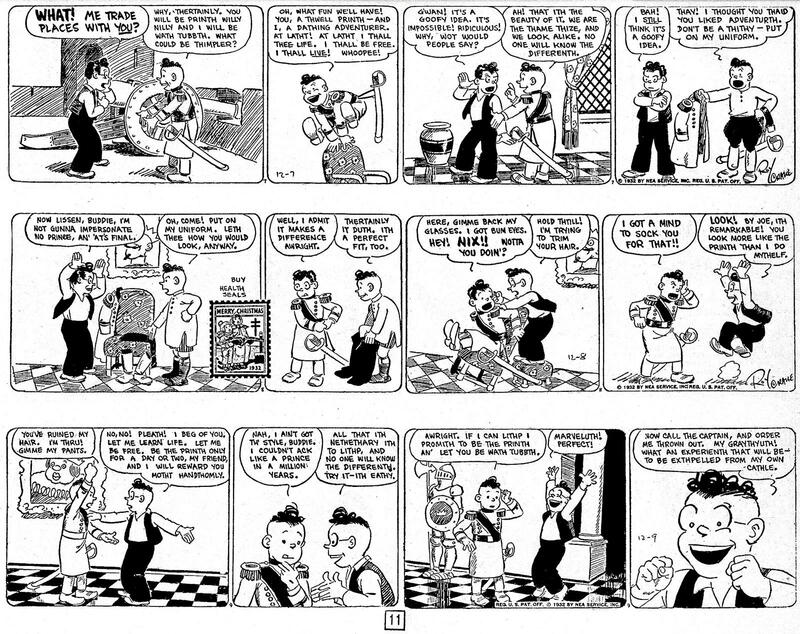 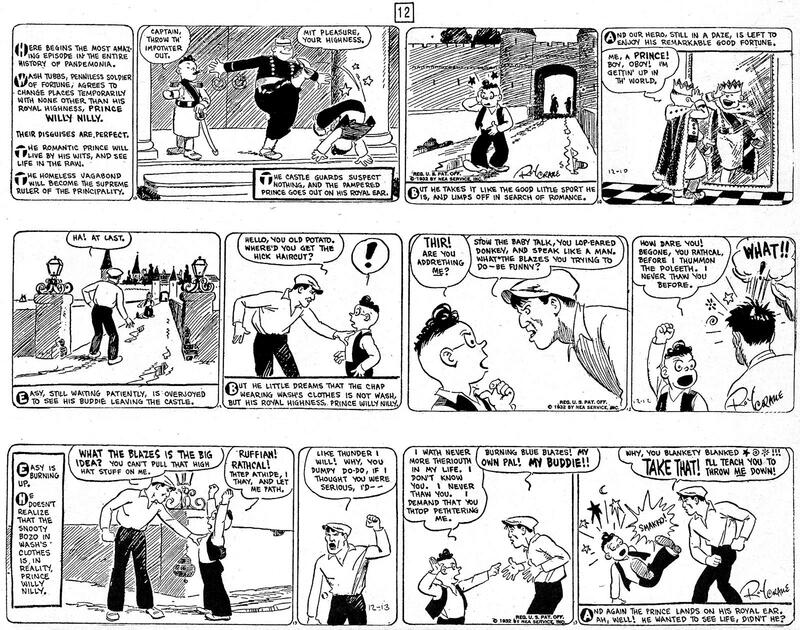 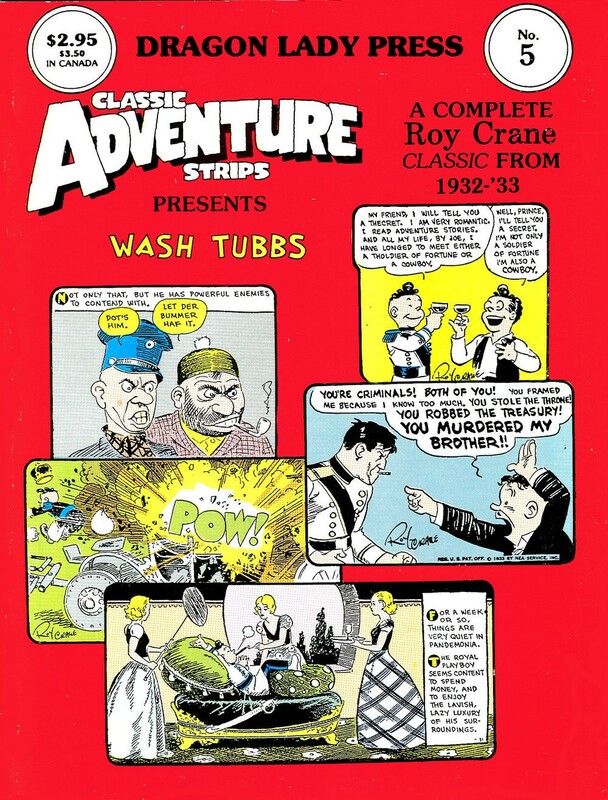 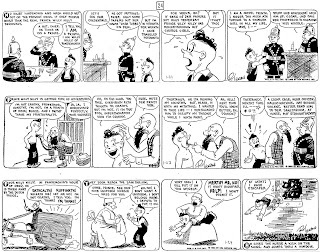 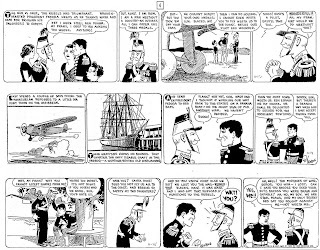 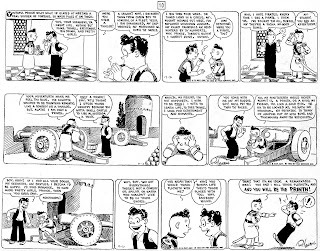 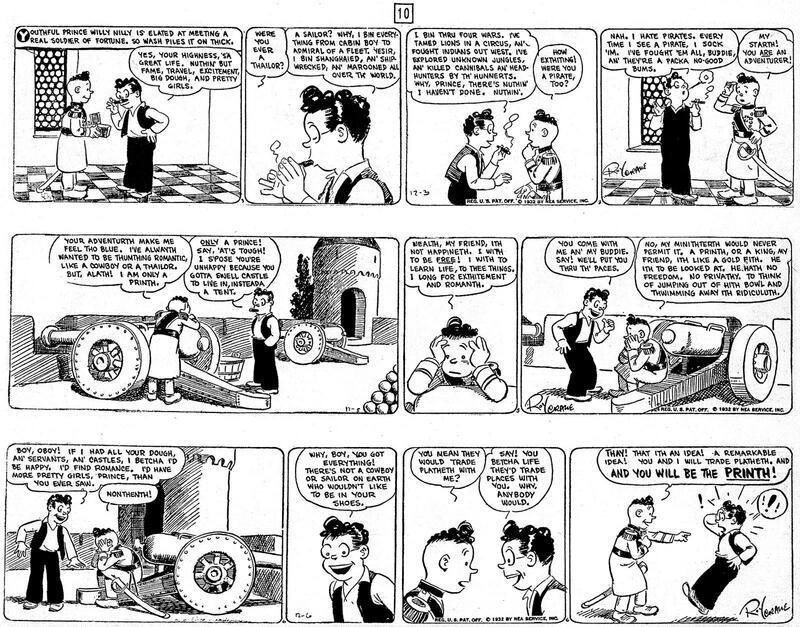 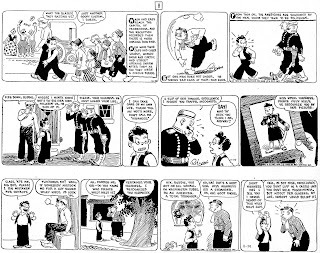 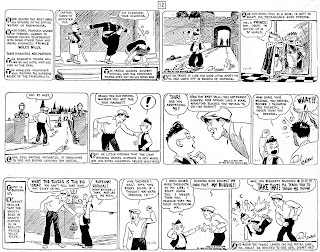 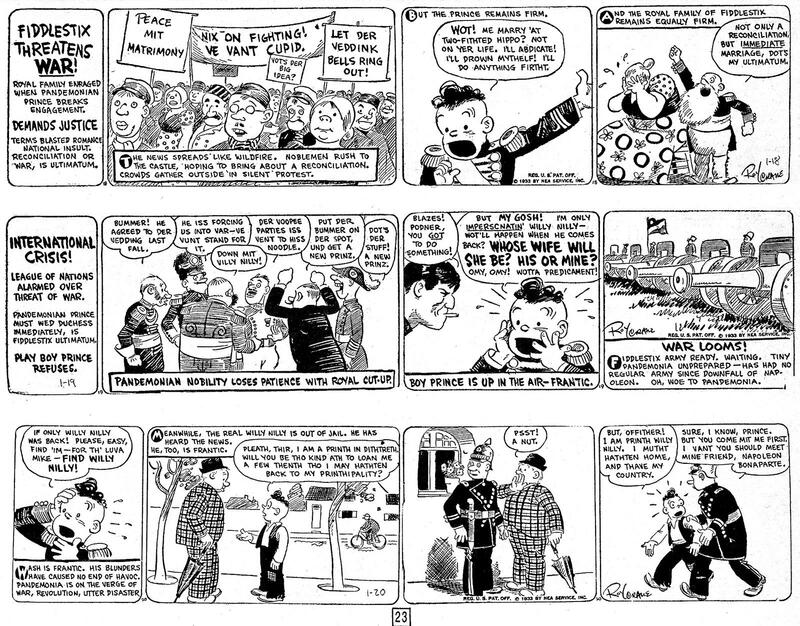 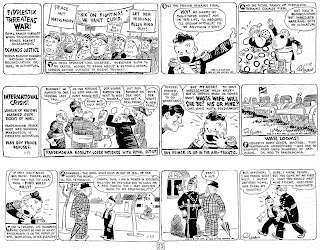 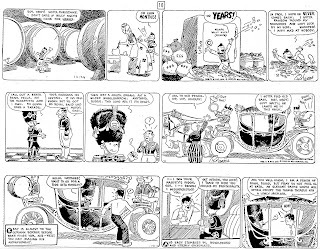 As promised last week, here is the first of two parts of an adventure featuring Roy Crane's Wash Tubbs and his friend, Captain Easy. They originally appeared in newspapers from November 12, 1932 to April 25, 1933. 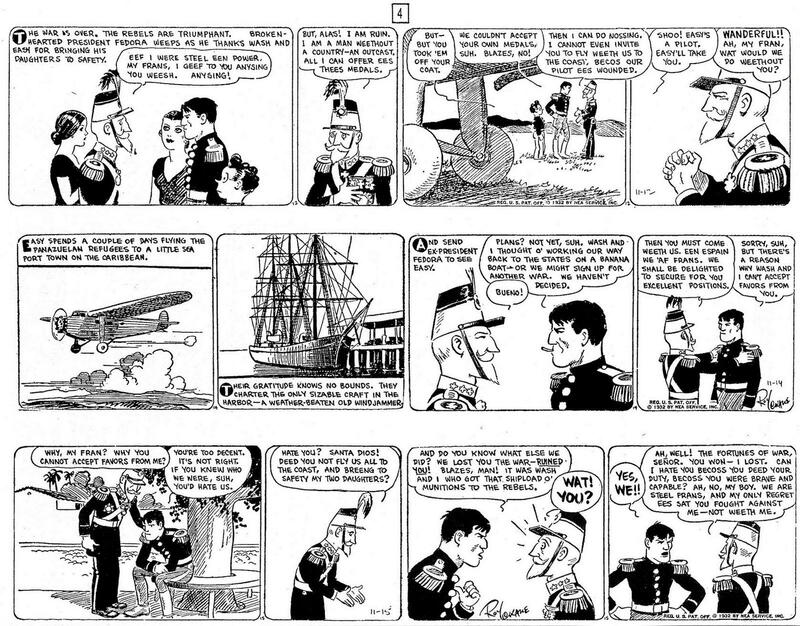 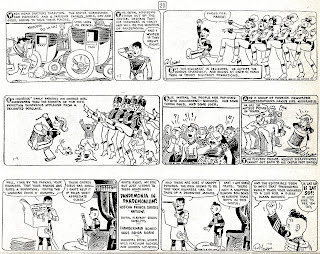 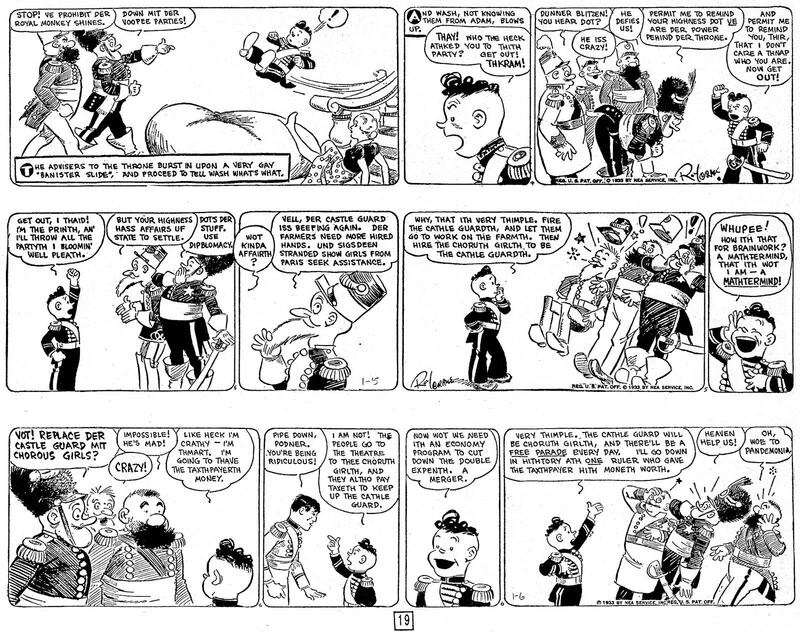 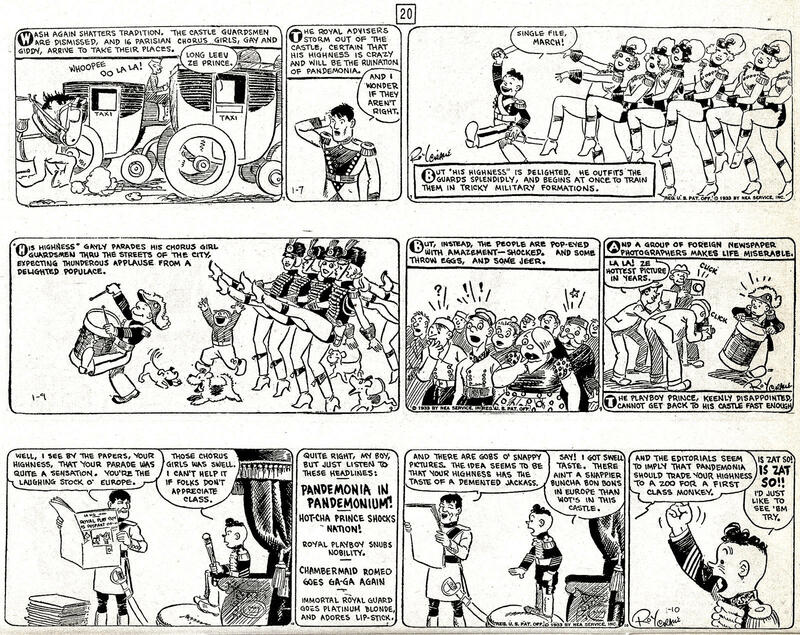 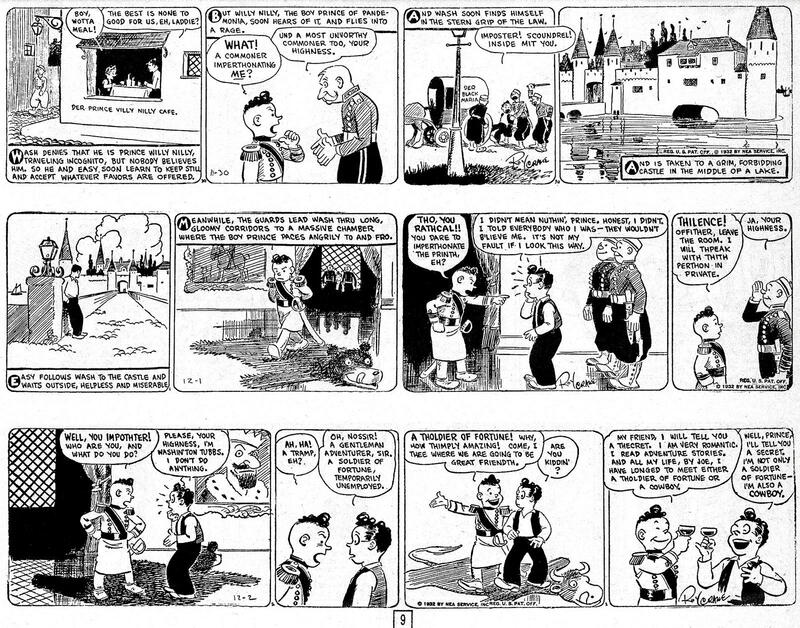 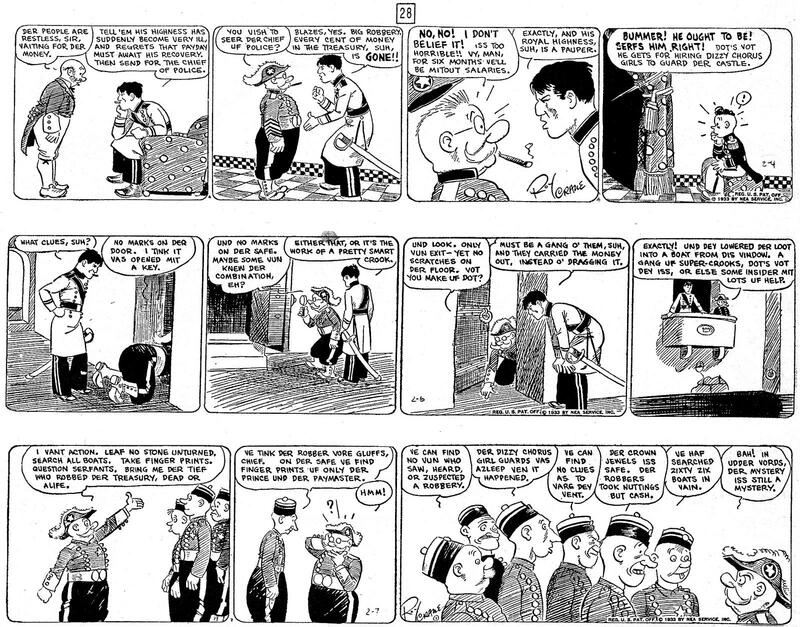 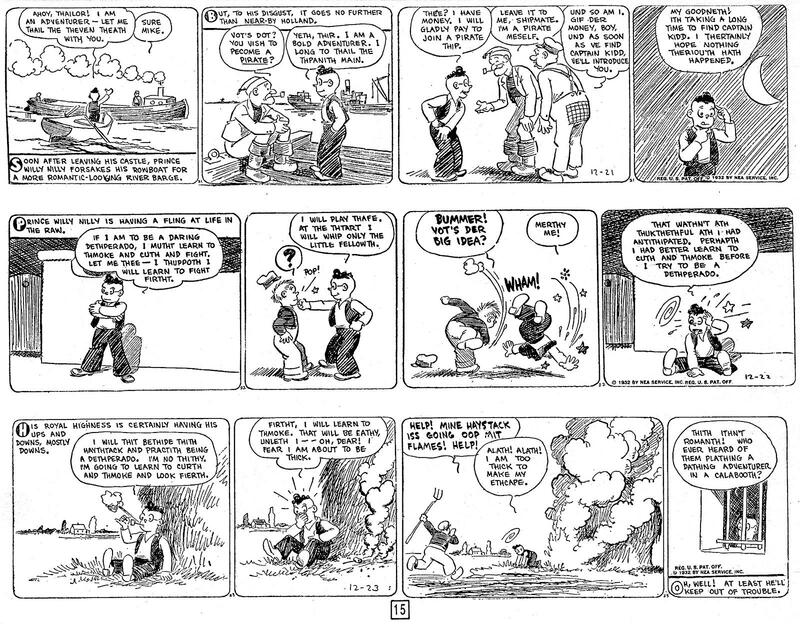 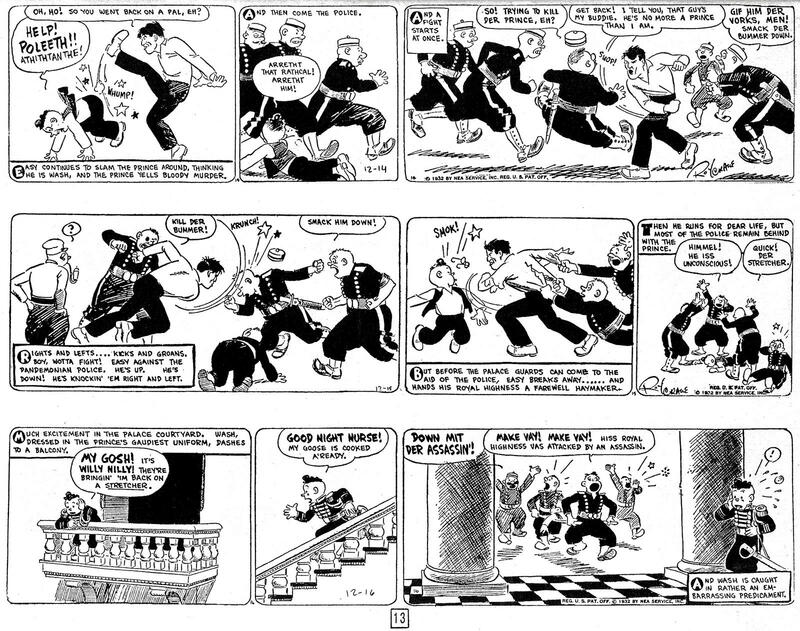 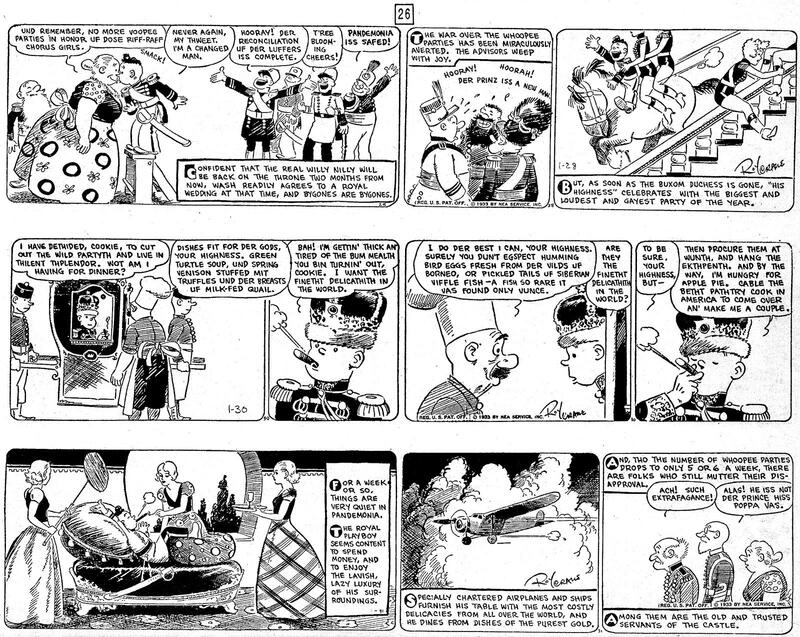 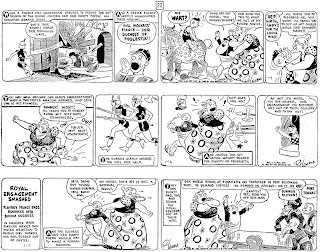 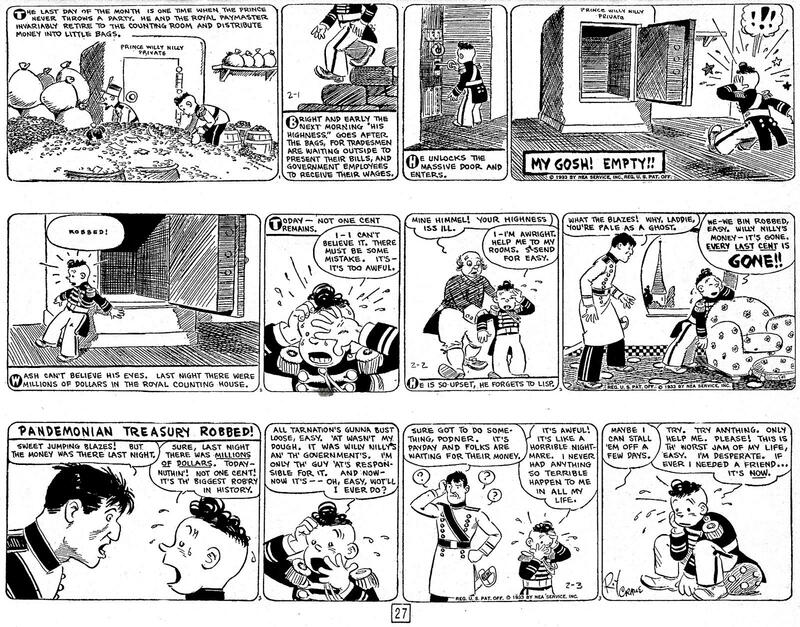 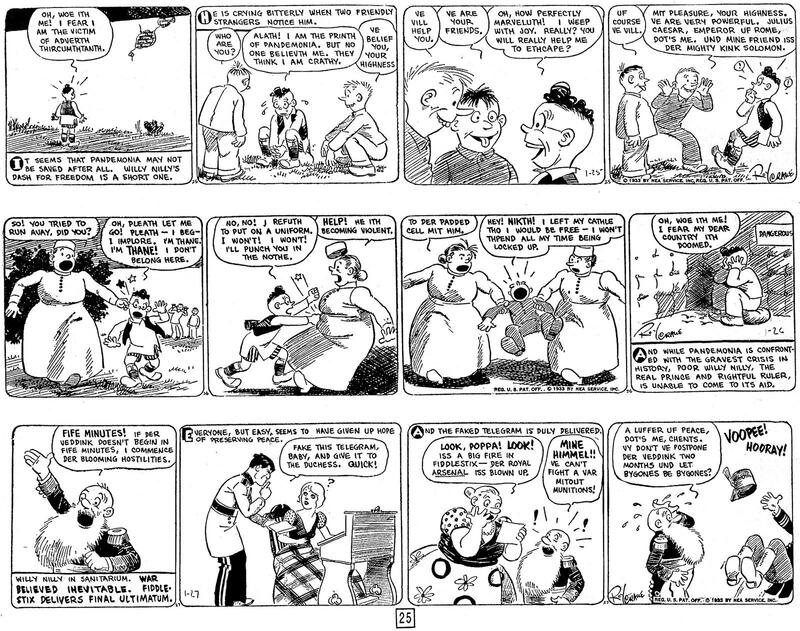 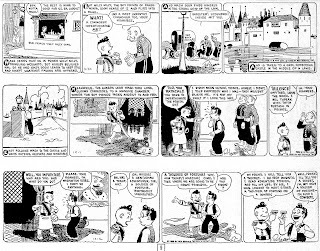 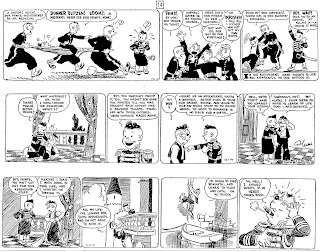 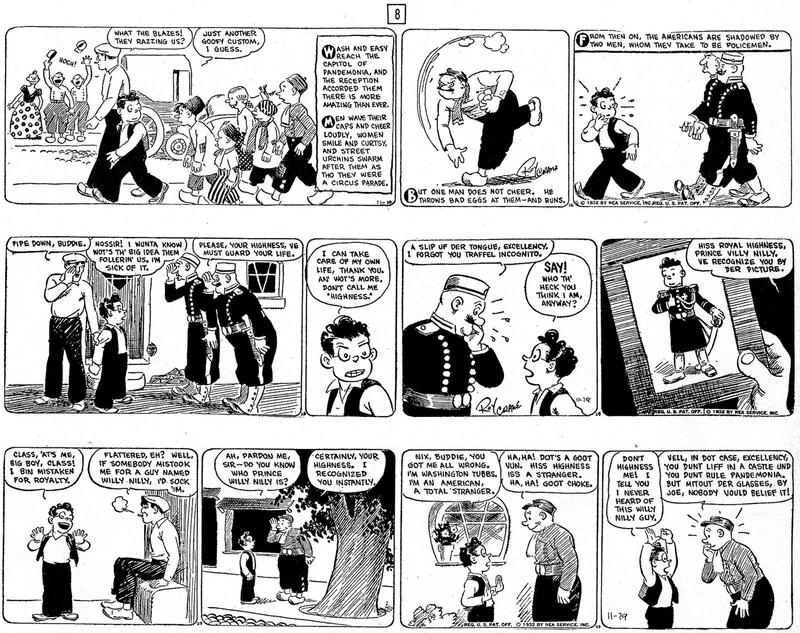 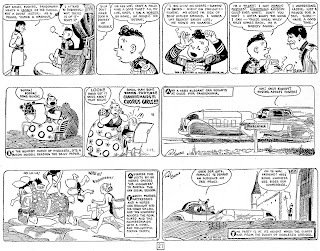 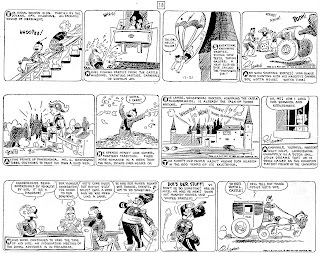 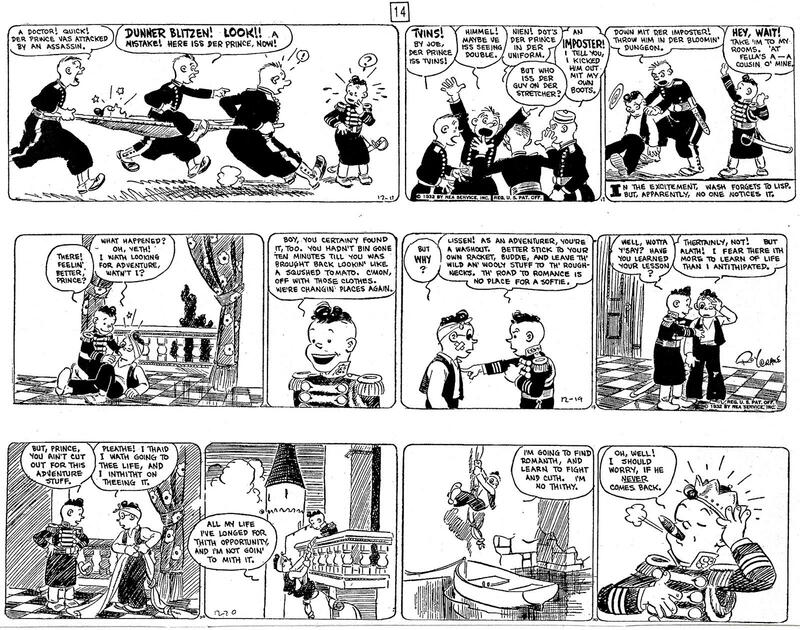 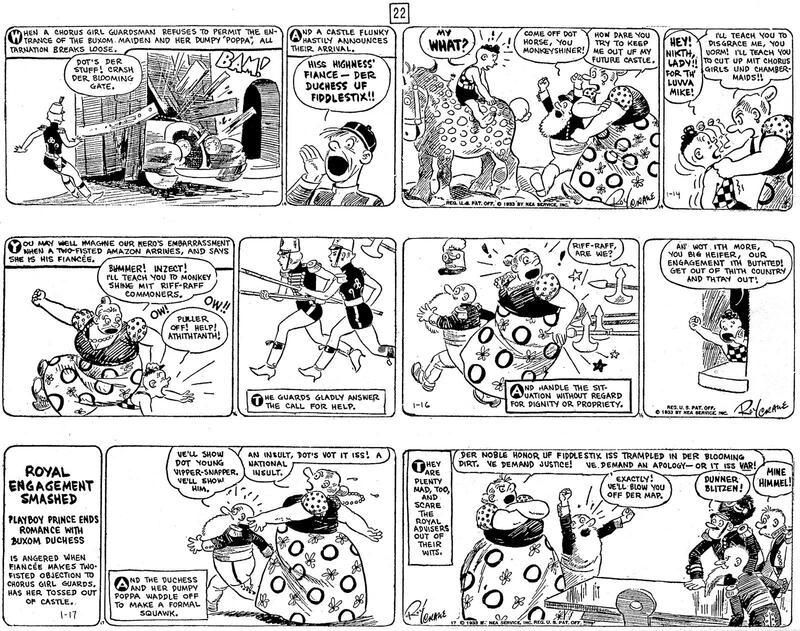 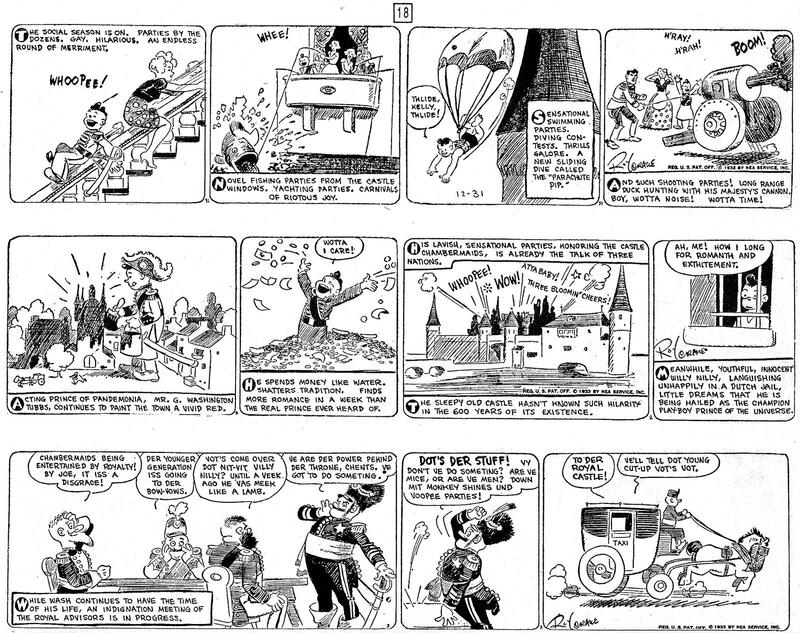 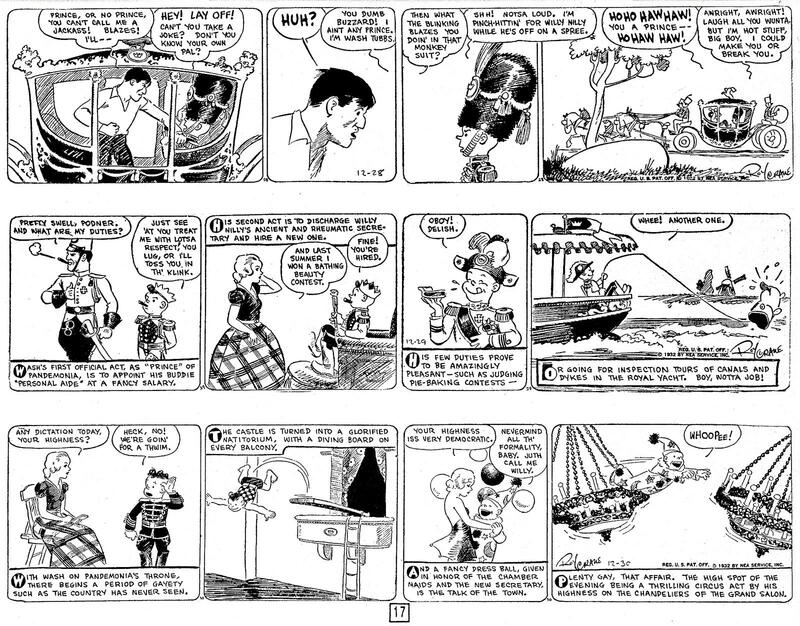 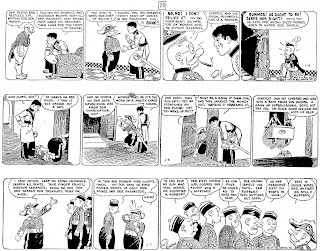 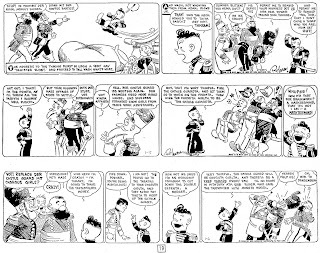 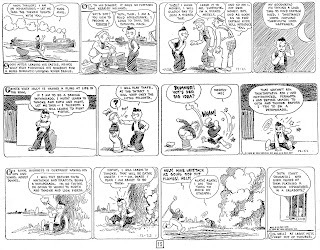 These scans are taken from the reprint edition, CLASSIC ADVENTURE STRIPS #5, published by Dragon Lady Press in 1986. 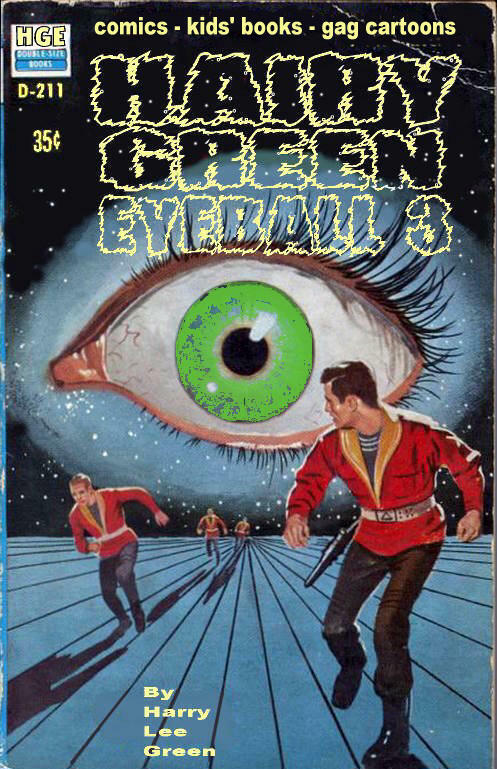 Come back Thursday for the second and concluding part of the story. 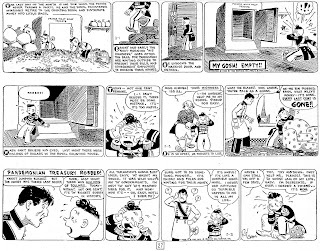 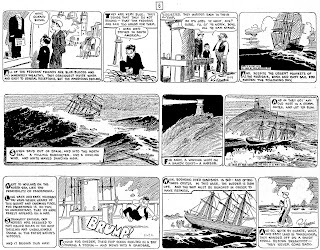 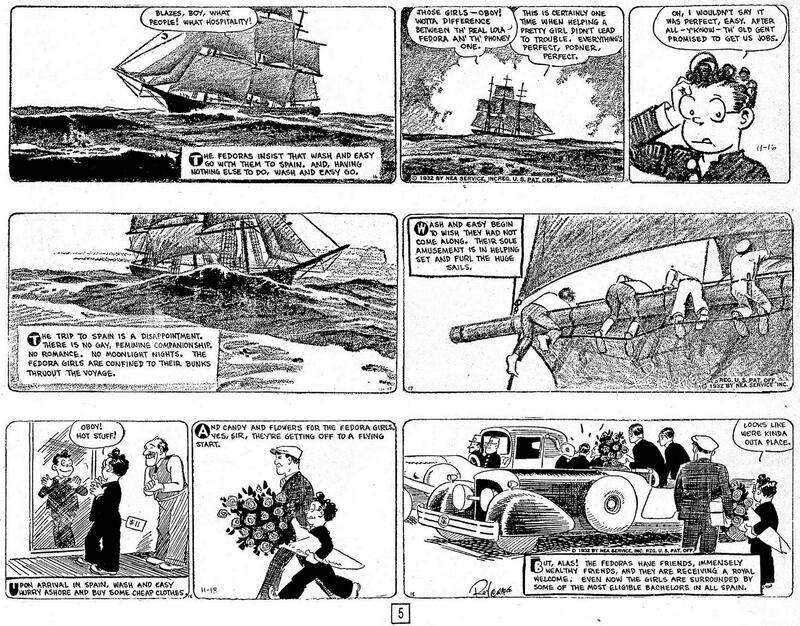 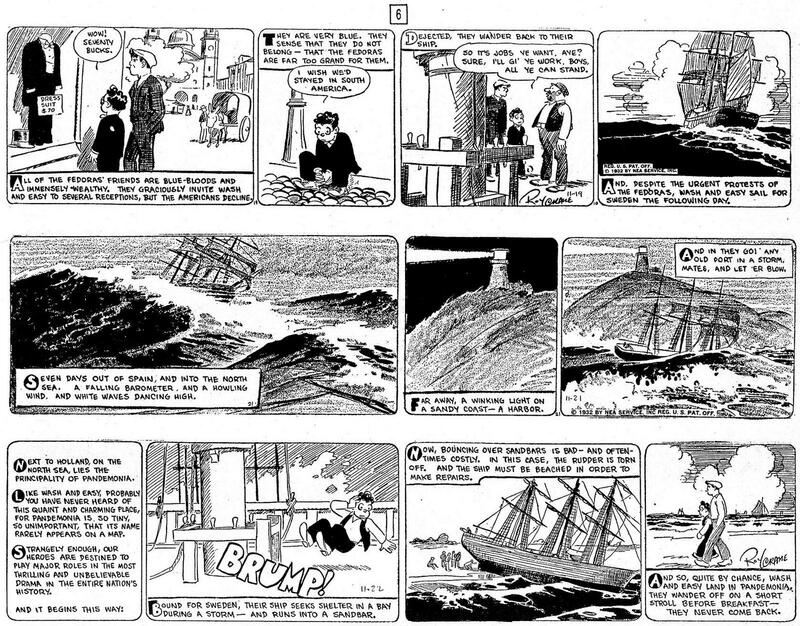 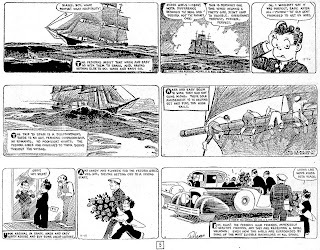 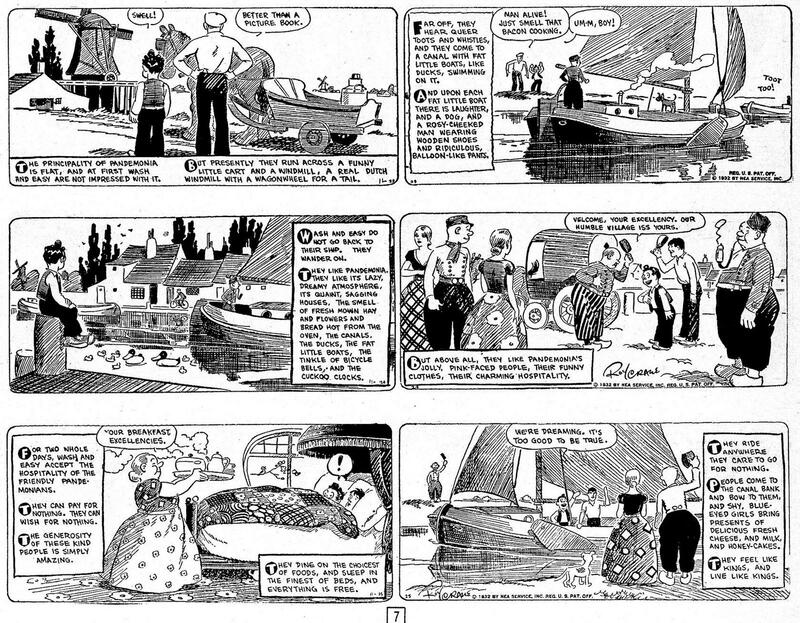 LOVE Roy Crane's comic strips. 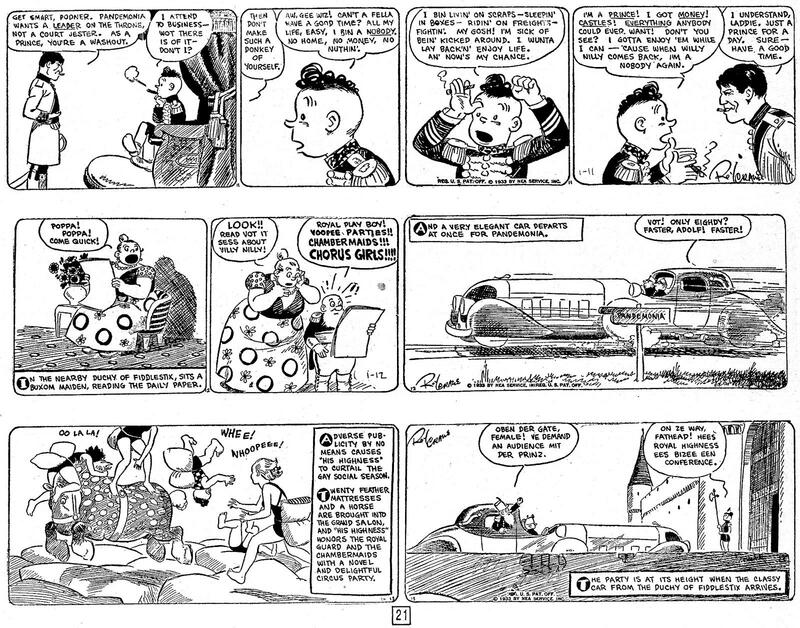 I own all the NBM Flying Buttress volumes. 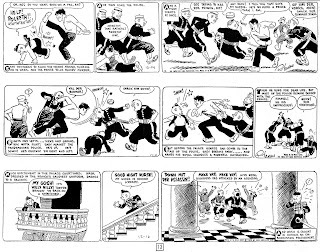 I have the Roy Crane reprints that Dragon Lady did, but not the Flying Buttress. 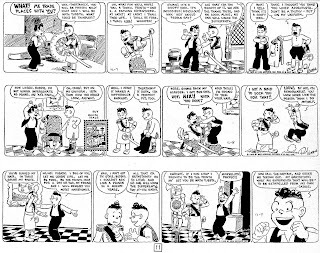 There's only so much money and more important, so much room for collections. 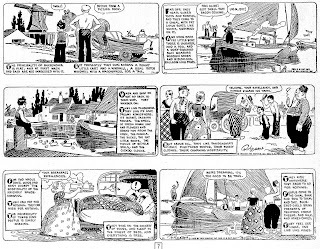 I'd love to own all of them, though.